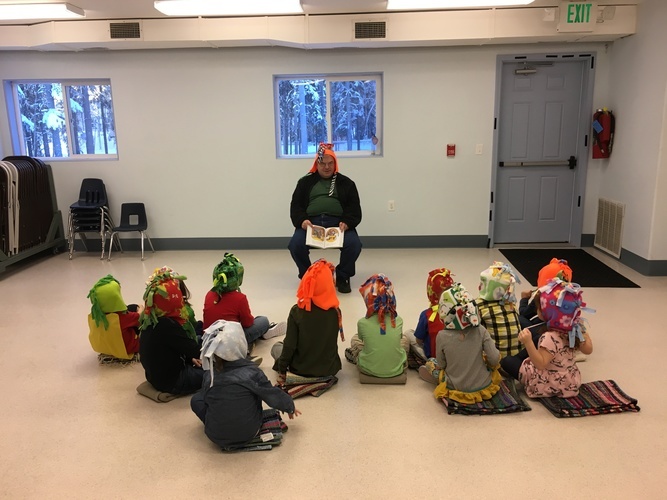 The New Hope Quilters helped our preschool students make their own fleece hats, they also made one for Rev. Matz. 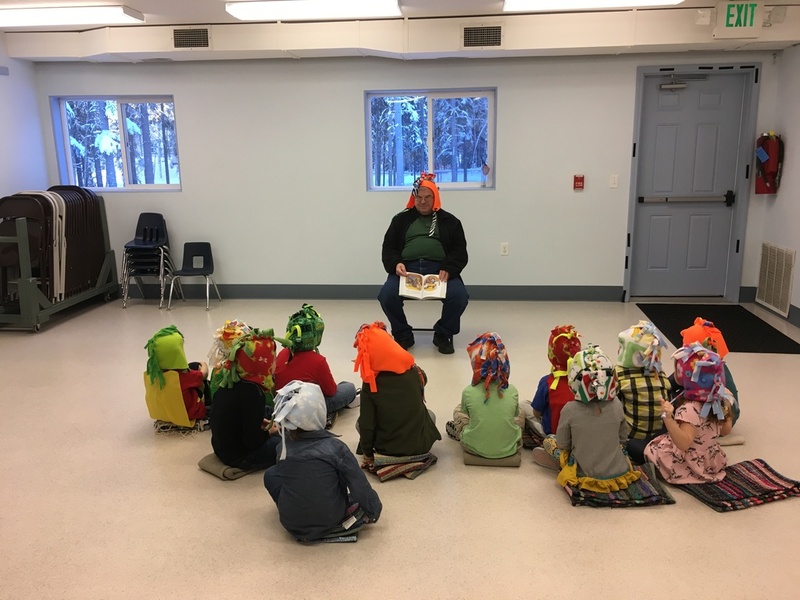 Here they are enjoying weekly storytime wearing their wonderful creations!